How Far is Vaikunds Sundaram Phase I? Vaikund Sundaram, situated in Chennai, is one of the most demanded residential launches of Vaikund Estates. It is presently offers roomy 2BHK, 3BHK Duplex and 4BHK row houses. This premium project is well equipped with all the amenities to enable the needs of the occupants. Strategically based in Karapakkam on Old Mahabalipuram Road, Chennai, Vaikund Sundaram keeps up with the expectations of a luxury seeking property buyers. RCC Frames designed for earth quake resistance. Solid cement blocks/pre fabricated concrete wall panels with smooth finish on both sides. Imported solid teak wood finish main door. UPVC French Doors with toughened glass. Padauk wood frame with molded skin door. UPVC Windows with 5mm toughened glass. UPVC grill between two toughened glass. 2x2Vetrified joint free tiles for Apartments . 3x3 verified joint free Nano Tech tiles for Semi Independent Villas and Duplex Villas. Wooden flooring in all bedrooms for Semi Independent Villas. Wooden flooring in master bedroom for Duplex Villas. 7 feet high designer tiles for all bathrooms in Apartments and Duplex Villas. Roof high designer tiles for all bathrooms in Semi Independent Villas. 4 feet above designer tiles above kitchen counter. CP fittings – METRO or equivalent. Premium white colour sanitary fittings. Split AC point for all rooms. Provision for TVs and telephone in living and all bedrooms. Asian APEX/equivalent interiors in Apartments. Asian Royal/equivalent interiors in Duplex Villas and Semi Independent Villas Weather proof exterior painting. 5 passenger lift for every block of apartment. Black granite top, SS sink. Vaikund Estates is from the house of V.V. Rajan and Co. Pvt. Ltd, one of the leading and trusted business houses in Chennai with interests in manufacturing, publishing and education. Vaikund Estates offers quality work which is delivered on time within the budget in Chennai metropolitan. They construct home with the combination of proper space utilization, picture-perfect design with suitable interiors, exteriors and comfortable living spaces in Chennai which is the aim of the company, an example of their work is Vaikund Sundaram Phase II in Chennai at Karapakkam locality. They maintain a good relationship with their clients, they will assist in case of even the smallest of concerns regarding your home. 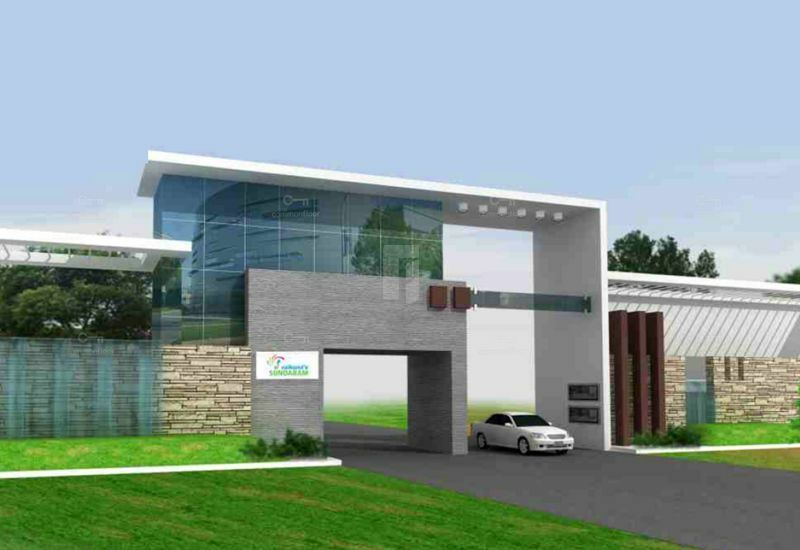 Companies vision is to offer a beautiful concept of gated community living in the Chennai city. They have constructed many buildings some of them are Vaikund Trilok in Kanchipuram, Vaikunds Sundaram Phase I in Karapakkam, Vaikund Mira and the list goes on.